On May 11th, 1875, a girl with a restless desire for adventure and equality was born in an unknown location in Michigan. During an era plagued by traditional ideologies and essentially no opportunities for women to express themselves, Quimby knew she would have to fight relentlessly against the patriarchal ideologies that sought to reduce her future to a life of domestication. Her quest for exciting opportunities to express herself began when she was only nine years old as her family moved to California in hopes of leading healthier lives. While in California, Quimby was exposed to a less traditional mindset as she heard of women attending graduate school and entering the workforce. Inspired by these courageous women and motivated by her own zeal for work, she became employed by the San Francisco Dramatic Review as a staff writer. She quickly proved her ability to communicate efficiently and utilize her charisma, making a name for herself as a popular writer. While Quimby certainly enjoyed the freedom of expression she found in writing, she could sense that not all of her creative notes were being hit. She still found herself craving more adventures to spice up her life and satisfy her high-spirited personality. Continuing her journey for a better life, she fell in love with the excitement, opportunity, and high energy of New York City. 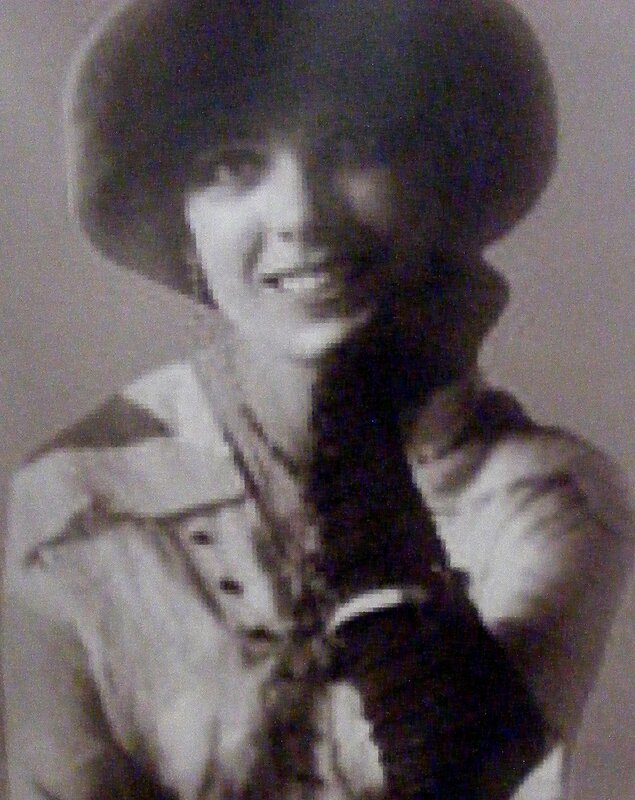 Unafraid of change, Quimby confidently packed her bags and moved to the city in the early twentieth century. As a journalist soaking up the exciting city of bright lights and buzzing opportunity, Quimby became employed at Leslie’s Illustrated Weekly. Her creative abilities soared as she took on new interests that aligned with her career as a journalist, such as becoming a photographer, critic, and reporter for publications. In fact, it was during this time when Quimby would discover her true passion: aviation. Quimby was assigned to cover the United States’ first air meet, eagerly observing planes zoom past in the brilliant Los Angeles sky. Submerged in an atmosphere of thrill and adventure, Quimby excitedly accepted her invitation to cover the Belmont Air Meet in New York. She became absorbed in the fresh, inspiring energy of the crowd and the aviators as she could feel deep within herself that she belonged in this new world. Unintimidated by the challenges of flying, she stated rather simply that flying an airplane appeared simple and she was confident in her ability to do so. A woman true to her word, she set out to do exactly that: fly an airplane. She became friends with one of the pilots at the Belmont Air Meet, John Moisant. With marked boldness, she convinced Moisant to allow her to study at his flying school. While she was immersing herself in her study of aviation, Moisant was killed in a flying crash. However, this did not paralyze Quimby and she continued to follow her passion. Making use of her impressive negotiation skills, Quimby even managed to convince Leslie’s to cover the costs of her flying lessons and in exchange, she would publish her adventures in the magazine. 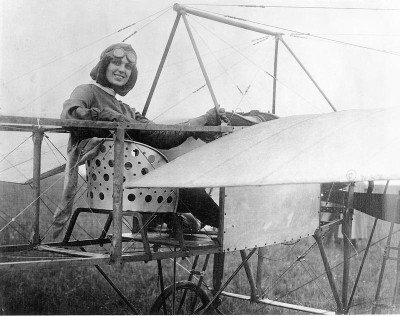 With thousands of excited women gushing over the thrill of her adventures, Quimby became the first known woman to actively promote the involvement of women in the aviation industry. However, this was only one of many firsts for Quimby. She pioneered the necessary pre-flight checks that pilots now perform on a routine basis and published an article about their importance. As a result, she became well known for her commitment to safety. More importantly, Quimby became the first licensed female pilot in the United States on August 11th, 1911. It was awarded to her by the Aero Club of America. In less than one month of achieving this arduous task, she won a cross-country race. 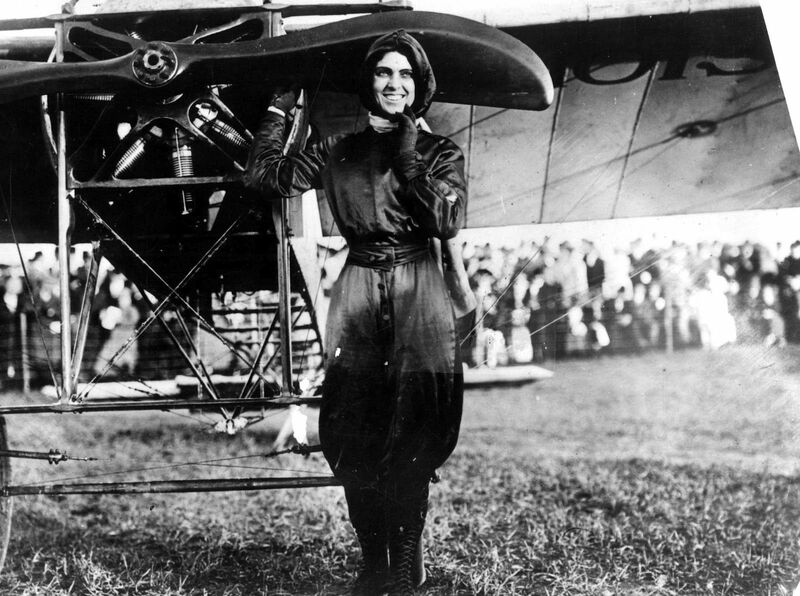 This same year, she even became one of the first women to fly in Mexico City. In 1912, Quimby achieved yet another significant feat, becoming the first woman to fly across the English Channel. She was even the first woman to fly at night. Needless to say, the public was amazed by Quimby’s impressive endeavors and enjoyed following her story as she covered new milestones. On a global scale, women were inspired by her leadership, uncommon boldness, magnetic charisma, and shameless ability to be herself. Not only was Quimby an outstanding aviator, she was also a highly influential public figure, encouraging women to break free from traditional molds and aim for the skys. Women from around the world continue to be inspired by her unmistakable bravery, contagious enthusiasm for life, and ability to catalyze the early stages of the female empowerment movement. The sky is not the limit, but only the beginning for flyGIRLs! “The Remarkable Harriet Quimby.” Today I Found Out, 6 Aug. 2013, www.todayifoundout.com/index.php/2013/08/the-remarkable-harriet-quimby/. NAHF. “Quimby, Harriet.” National Aviation Hall of Fame, www.nationalaviation.org/our-enshrinees/quimby-harriet/.